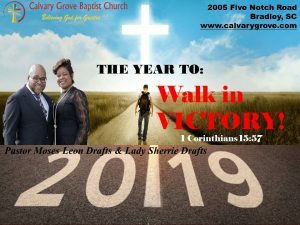 Calvary Grove Baptist Church is a Christ Centered ministry that seeks to adhere to the great commission of Jesus Christ; to promote Christian fellowship and spiritual growth; by equipping and empowering believers through worship, fellowship, discipleship, and service. Our vision is to build a Faith based community of believers who love, follow and model Jesus Christ in every area of their lives. God’s Work done God’s Way will be Victorious!